(January 27, 2018) She was already a blooming star as a teenager in the 1990s; she won at the Apollo Theater, and landed a big Billboard hit with “Give Him A Love He Can Feel,” and Tiffany Bynoe (first known as Tene Williams) has continued to grow as a songwriter and artist ever since, developing a penchant for catchy songs with positive messages. 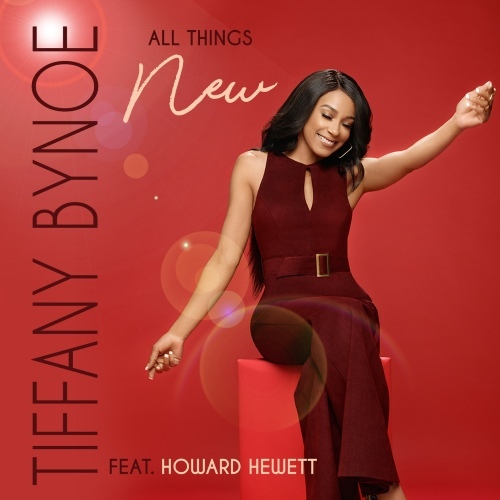 Tiffany returned in 2017 with a beautiful version of Deniece Williams' "Free," and now she is back with a new song that features a very famous relative of hers: the great Howard Hewett. The uncle and niece join together "All Things New," a cool midtempo with a classic soul feel (including a sample of the Stylistics' "You Make Me Feel Brand New") and an eternal message of faith that believers can relate to: "He can see the diamonds deep inside you / clean it up, make it shine through." We’re looking forward to hearing Tiffany’s upcoming CD, but in the meantime, we're proud to be presenting the World Premiere of this uplifting new song featuring two great singers. Check it out. Tiffany Bynoe feat. Howard Hewett - "All Things New"